Below are the most frequently asked questions from our clients, so click on a link to skip to the section that you require – if you can’t find the answer to your particular question here, then please contact us and we will get back to you. Q: I really want to take a course but I am not sure which one. Can you help me? A: Of course! We want you to get the very best out of your time with us, so if you want extra help deciding which course(s) to take, then email or call us and we will offer advice to help you decide. Q: What sort of ability are your courses aimed at? A: The emphasis of our courses are learning and fun, for home bakers. We will give you all the skills, recipes and tips you need to produce great results in a domestic setting. That being said, the skill level for each of our courses varies and some are more challenging for more experienced amateurs than others. If you are looking for a professionally accredited course, then perhaps our classes are unsuitable for you. Q: I want to book a course. Is your booking system secure? A: We take your security very seriously and use a secure and integrated online booking system which uses PayPal to process your payment. That way, you know your personal information is in safe hands, your payment is protected and that we are a reputable business. Perfect! Q: How many other people will be at my course? Q: Why do some courses have fewer places than others? A: Due to the content and equipment needs of some courses, we limit some class sizes to fewer students to ensure the very best experience. This is what we like to call the Delightful Tea Difference! Q: Do I need to prepare or bring anything to my course? A: No, all you need to do is arrive within 30 minutes of your course start time! We provide all the ingredients and equipment for your course, including something transport your goodies home at the end of the session. We do recommend that you wear comfortable clothing which is not easily damaged by splashes and spills, that you tie back any loose or long hair and that you wear footwear suitable for a kitchen environment, so no sandals or open toes please. We don’t recommend thick woolens which can shed fibres – not too nice to find these in your bakes, as you might imagine, and advise wearing layers so you can add or remove them depending on the activity. We also suggest jewellery is removed and left at home for safekeeping. We provide aprons for all students but as it is a cooking environment best you don’t wear your best dress or suit for the occasion! Ultimately we regret that we cannot take responsibility for any soiling or damage caused to your clothes or possessions whilst your at our classes. Q: The course information mentions refreshments. What are these and do you provide lunch? A: We offer refreshments such as quality teas, coffee, natural cordials and fresh water throughout your time with us and you will get the chance to enjoy a freshly baked treat or try some of the day’s bakes made by the tutor, as well as taking away the produce you have personally made at the end of the session. There are several dining options within walking distance, ranging from a light snack to a full meal. We will happily give you advice about these options on the day of your course. Q: Can I bring a packed lunch? A: You are most welcome to bring along some lunch, as we have a small break out area where you can sit and eat. Unfortunately we are not able to refrigerate or heat any food you have brought with you. Q: How much time is set aside for lunch and what time is it? A: The duration and timing of lunch is dependent on the class content and the ability and progress of the participants – we usually suggest around one hour to allow adequate time for those going out for lunch to eat and return in time for the second part of their course. Q: What time should I arrive for my class? A: Please ensure you arrive in time for the start of your class; information on your course start time is given on your booking confirmation details, which you should have received by email after making payment. Students are welcome to arrive up to 30 minutes before their class start time for refreshments. Q: I have a food intolerance. Are Delightful Tea classes suitable for me? A: We are able to cater for food intolerances such as gluten and dairy allergies; you can still enjoy our classes! However, we do request that you consult us prior to booking to ensure that we can properly cater for your allergy needs where possible. Please note that we cannot guarantee an allergen-free environment for those with nut, wheat or other food-related intolerances, because we do use such products in our studio, so if you have a severe intolerance, then our classes may not be suitable for you. Best way to be sure is to get in touch before booking. Q: I would like to arrange a party for my child – how do I do this? A: We offer children’s parties on a bespoke basis, so please contact us to discuss your requirements. Q: I would like to make payment with a cheque or cash. Is this possible? A: If you would like to pay for your class(es) or gift vouchers by cheque, Postal Order, BACS or cash, then you will need to contact us either by email or telephone, letting us know which class(es) and / or vouchers you require. You will also need to provide us with the details of any courses you wish to attend. Once we have a cleared payment we will confirm your booking or despatch any vouchers to you, but please be aware that we are not able to hold any course place whilst payment clears (this is approximately five working days from receipt for cheque), so cannot guarantee you your first choice class date until cleared. If you have any queries regarding this, please contact us to discuss. Q: Are there any additional course fees I should be aware of? A: When you book our courses there are no additional charges or booking fees applicable. Gift vouchers include 2nd class standard postage. Q: Since booking my course I have noticed a promotional discount or special offer – can I receive this discount? A: We reserve the right to offer discounts, promotions and reductions at any time, for any course or for gift vouchers. These are not applicable respectively. If you would like to keep up with our latest news, promotions, discounts and special offers you can email us to be added to our mailing list* or you can ‘like’ our Facebook page. *We do not divulge or share your contact details with third parties under any circumstances. Q: What happens if I cannot attend a course I have booked? A: Once you have booked and paid for your place we regret that no refunds can be given and you cannot automatically transfer to an alternative date. This is in accordance with the Consumer Contracts (Information, Cancellation and Additional Charges) Regulations 2013. However, we do offer a 48 hour cooling off period during which you can amend your booked date to another available date for the same course or one of equal value. Please see our terms and conditions for more information. We cannot reschedule or refund any ‘no-shows’. Q: What happens if I am late for my course? A: We advise allowing extra time for your journey to ensure you do not miss the start time, because we commence courses at the scheduled time without question to prevent other students from being inconvenienced. If you know you are going to be late, then please contact us by telephone to make us aware as early as possible and ensure that you leave a message if you cannot speak to us directly. If you do this, and the rest of your course group agree, we may be able to delay the start for you, up to a maximum of 15 minutes. Please be aware that if you fail to arrive on time we will not be able to affect the experience of other class members by repeating the portion of the class you have missed. Q: I don’t want to attend the course I booked anymore, so can I have my money back? A: No, unfortunately once you have booked, you cannot receive any refund, full or partial. We suggest that you find someone who could attend in your place. If you arrange for a replacement, please ensure you let us know their name and details by email as soon as you can. Q: I have paid a deposit for a special course, party or a private lesson but now I can’t attend. Can I have my deposit back? A: As our events and private tuition sessions are designed bespoke just for you, we regret that deposits are non-refundable. Q: Are there circumstances where Delightful Tea will cancel, postpone or reschedule my booking? A: There are certain but rare circumstances where we will cancel, postpone or reschedule a course such as insufficient numbers, staff illness, damage to the baking studio or severe weather conditions; we endeavour to give the maximum notice of any cancellation or reschedule, where possible. Any decision to cancel, postpone or reschedule a course will be done so in the interests of quality assurance for our students. Our courses generally run with a minimum number of students, depending on the maximum student number advertised per course. Any fewer than the minimum and we may offer you the chance to attend an alternative date(s). In exceptional circumstances we will offer a full refund but we hope that the alternative date(s) will enable you to still attend and enjoy your chosen course activity with us. Please note that we do not accept responsibility for any losses, financial or otherwise, associated with a cancelled session, whether you choose to transfer to an alternative date or accept a refund, if offered. Please see our terms and conditions for further information. Q: I have a gift certificate. How do I redeem it? A: Once you have purchased a gift certificate online we will despatch them by Second Class post free of charge within 24 hours (Monday to Friday). Each voucher has a unique code. To redeem a voucher, the recipient should visit our courses page, choose a course and available date and complete the simple online booking process, entering the unique code into the ‘coupon code’ section when prompted. If the course selected is greater than the value of the gift certificate then you will be required to pay the balance via PayPal. Q: I have a voucher to redeem but the course I want to do is fully booked. What can I do? A: We offer all our courses on a range of dates in accordance with our class schedule. However, we cannot guarantee availability of any particular course and we recommend that you book early to avoid disappointment. Q: The course I wanted to attend appears to be unavailable or has no forthcoming dates, why is this? A: We reserve the right to withdraw courses and course dates without notice. To redeem your certificate you will have to select an alternative course title; or you can opt to redeem your certificate for private tuition so that you can cover your chosen topics. We do not refund the value of gift certificates under any circumstances. Q: My voucher value is higher than the course I wish to attend. Can I have the difference refunded? A: No, vouchers have no monetary value, so if you redeem for a course of lesser value, then you will not receive any refund for the difference. We therefore recommend that you choose a course to the value of your voucher. In some cases we can split a voucher but would need you to make any course bookings for a split voucher at the same time. It is best if you contact us prior to booking, if you would like to split a voucher. Q: My voucher has expired and I haven’t redeemed it yet. Is it still valid? A: We regret that expired vouchers cannot be redeemed, refunded or extended under any circumstances. Please ensure you redeem your voucher within its validity period. We will not contact you to inform you that your voucher is due for expiry. Q: Are there any additional restrictions for voucher redemption? A: Gift voucher recipients should have booked their course within the validity period of the voucher; we allow students an additional three months from voucher expiry to complete their course. Therefore there is a total of 15 month in which to use a gift voucher. Q: Are gift certificates eligible for promotional discounts? A: Unfortunately gift voucher redemption bookings are not eligible for any promotional discounts or other offers at any time. Q: I have purchased a gift voucher and have changed my mind. What can I do? A: In accordance with the Consumer Contracts (Information, Cancellation and Additional Charges) Regulations 2013, you have 14 days from the delivery of your order order to cancel it. Requests for cancellation of a voucher order should in the first instance be made in writing by email to enquiries@delightfultea.co.uk. We will issue a full refund via the original payment method within 7 working days, but you should be aware that the funds will be deposited in accordance with the recharge policy and timescale of the original payment processor. Any special delivery postage charges you specifically selected will not be refunded. Q: I don’t know the local area. What kind of location is Delightful Tea Bake School in? A: We are based on a pleasant high street just a short distance from Southend on Sea town centre. Q: What are my travel options? A: You can reach Delightful Tea Bake School by public transport or car. Want to get to us by train? C2C runs regular services to Southend East from London Fenchurch Street, and we are located only a five minute walk from Southend East mainline station. Click here for information. We are also accessible via Greater Anglia services from London Liverpool Street. Southend Victoria station is around 15 minutes walk or around 5 minutes by taxi. Licensed taxis are available at the station. Click here for information. Southchurch Road is served by several bus routes. Click here for information. Travelling by car? There is a public car park located approximately 5 minutes walk away. The Ilfracombe Road car park has a pay and display machine; charges apply. There are further car parks within fair short distances. Click here for information. There is short term, free on street parking along Southchurch Road, but please ensure you choose a parking option which allow you enough time to complete your course and return to collect your car. Q: Is there parking available and do I have to pay for parking? A: Unfortunately we do not have parking available for students. Please see above for details about parking options. Students are responsible for their own parking charges etc. Q: I am considering staying in the area, where can I stay? A: Please contact us or see our Useful Links page for details of accommodation locally, as well as other useful information about attractions and amenities in the area. Q: I am planning to book a course for a child. Are your classes suitable? A: Our courses are primarily designed for students aged 18+. We are able to welcome younger participants aged 12 – 17 years old on selected courses. Please see individual course information to help you establish whether the content of the course will be suitable for your child. Please ensure you check with us before booking if you have any questions or queries regarding suitability for a child participant. Younger participants can be accommodated in some cases and always by prior arrangement only – please ensure to contact us regarding bringing a younger child before booking. Q: What are your opening and contact hours? A: Delightful Tea Bake School’s telephone and email contact hours are 9.30am – 5pm Monday to Friday and 10.30am – 4pm on Saturdays. We can accept calls outside this time at our discretion. The baking studio is open by appointment only, so unless you have a class booked, you will need to contact us before visiting. Q: I have an enquiry. How soon can I expect a response? A: We aim to respond to email enquiries with 48 hours of receipt. If you contact us by telephone, we may not be able to answer immediately, especially when there are classes scheduled, but will respond to messages as soon as possible. We always recommend that you use email as your primary form of contact with us. Q: I want to organise an event activity and would like to find out what Delightful Tea offers. A: We can arrange children’s party celebrations, hen party activities as well as bespoke plans for all kinds of functions. Please contact us for details about how we can add value to your event. Q: Do you offer services for corporate events or team building? A: If you are looking for corporate team-building or leisure activities then we can help you! We can also arrange specialist catering for corporate events. Please get in touch to discuss your requirements. Delightful Tea Bake School Newsflash! Christmas comes a little early at the Bake School! 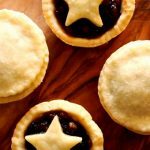 Yes, we know, it does seem a tad early to be thinking about Christmas, but here at the Bake School we like to get ahead with our festive making and baking, so that we can offer you some super seasonal classes sure to get you into the spirit of the season. We have three festive offerings this year including our complete course which covers a wide range of goodies including a wonderful, rich Christmas cake. Places and dates are limited, and one is now full already, so don’t delay if you want to join us for some Crimbo fun in the kitchen! We thoroughly enjoyed our Introduction to Breadmaking Course. It removed the mysteries of breadmaking which is so often promoted by others and taught us that it can be a really very simple procedure. The day was perfectly paced and very friendly and relaxed. We will definitely be booking for some more courses as it was such fun. Many thanks. Sign up to our mailing list and save 10% on your first booking! Plus find out all the latest about our courses plus get exclusive access to our special offers too.